My sister is hosting Easter dinner this year and, as a result, I haven’t decorated my own home one tiny bit. It’s not that I don’t see the significance of the holiday, I’ve just opted to leave everything packed away in our storage room because of our upcoming basement renovation. I have added a few spring details, such as new pillow covers, a lacework lantern, pretty robin’s egg placemats and a few other accessories, but nothing that says Easter. 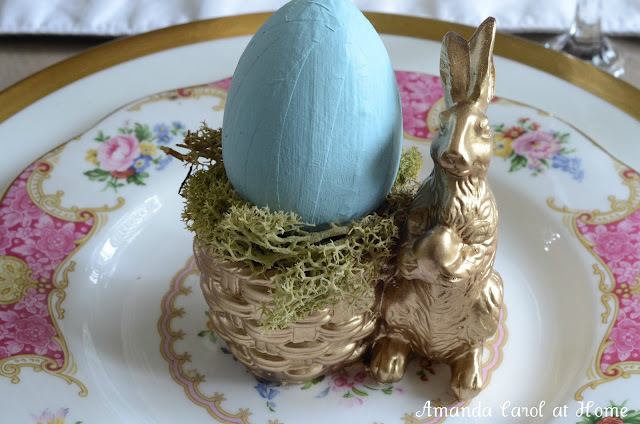 Despite my plans to bypass Easter decorating this year, I did come across several Easter ideas with gorgeous inspiration photos I wanted to share with you. 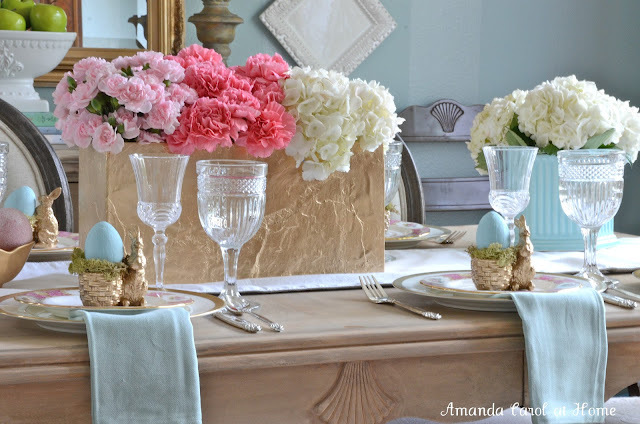 My friend Amanda created the most beautiful Easter tablescape. I found amazing Easter brunch ideas over at Better Homes and Gardens. Martha Stewart covers everything from candy displays to floral arrangements to egg decorating. And, lastly, I just love these cute little bunny napkins shown on Taste of Home. Learn how to fold them HERE. Have a wonderful Easter weekend! I’m going to be taking a few days off with my family, so I’ll see you sometime next week! Love your inspiration photos! Thanks for sharing and enjoy your time off! I didn’t decorate for Easter either but judging by these pictures, I missed out on a perfect opportunity! They are beautiful! I am practically drooling over those pancakes!